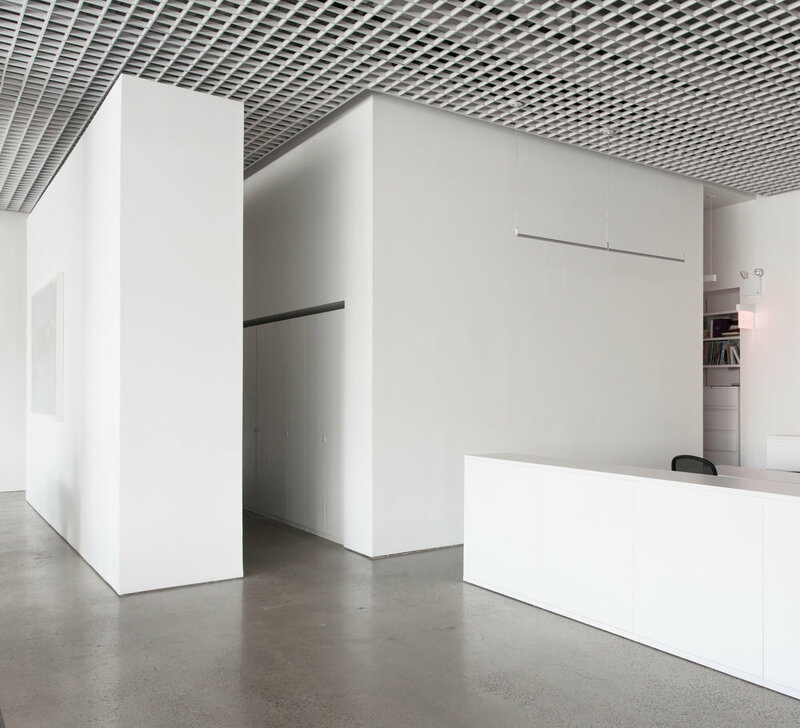 Located in the City Point project in downtown Brooklyn, this office for Art Partner, a fashion photography agency is a minimal, open, and airy arrangement of work spaces. 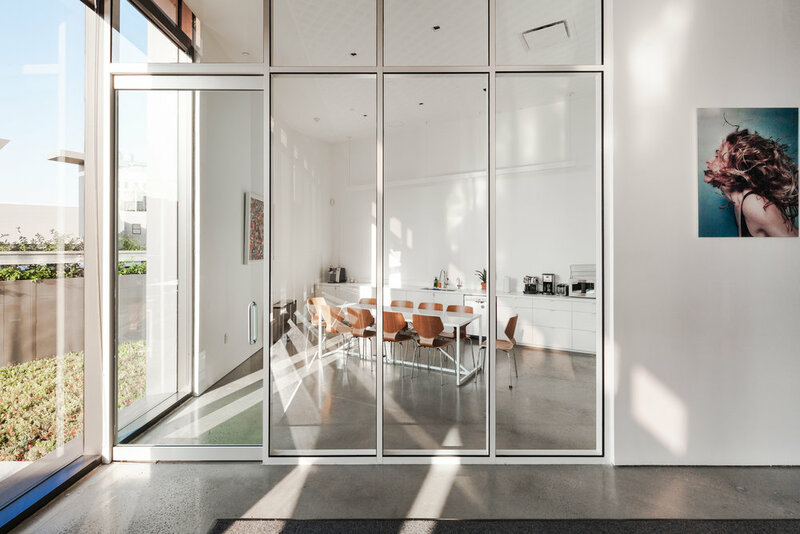 Design was driven by a demand for mute, bare surfaces for the display of archiving materials and art from the collection of agency talent. 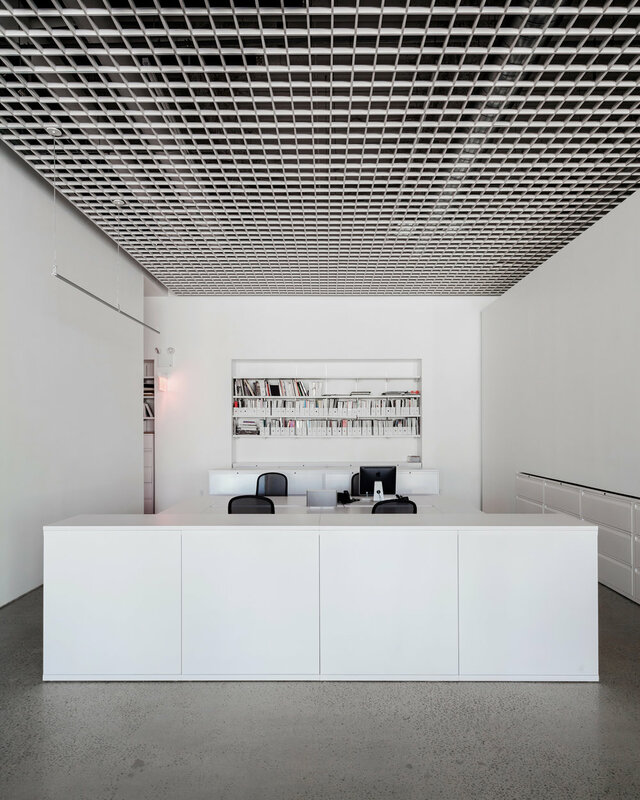 A dropped white metal grid at the ceiling of the space creates a datum line that permits perception of the overall height of the office (the existing ceiling is 17' tall) while shrouding a vast array of mechanical, electrical, and lighting systems. 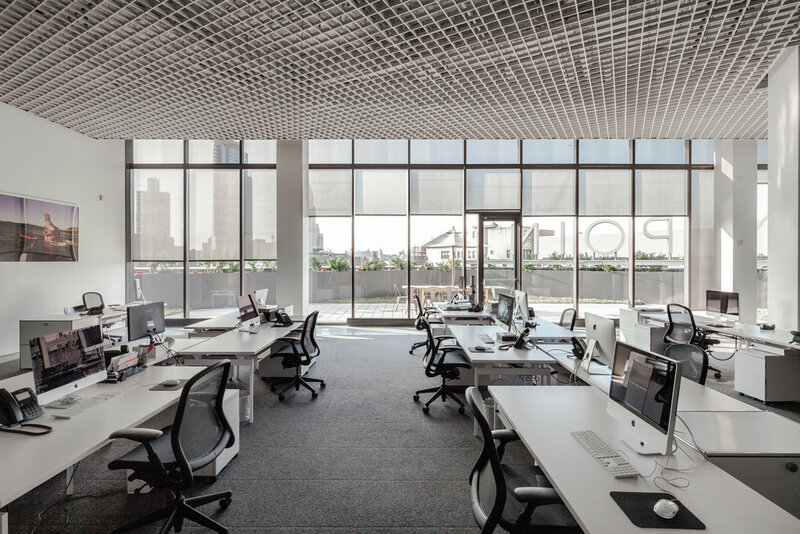 Design was driven by a demand for mute, bare surfaces for the display of archiving materials and art from the collection of agency talent.